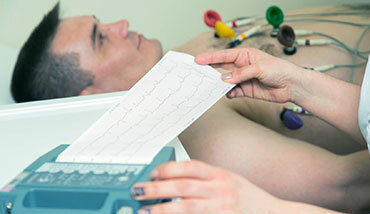 An electrocardiogram (EKG or ECG) is a test that checks for the electrical activity of your heart. An EKG shows the heart’s electrical activity as line tracings on paper. It allows for the detection of heart rhythm abnormalities. It can be done on children of any age and is completely painless.